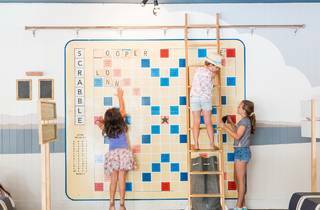 Rock climbing, giant Scrabble, flying foxes – there are pubs in Sydney that have amazing facilities for kids. 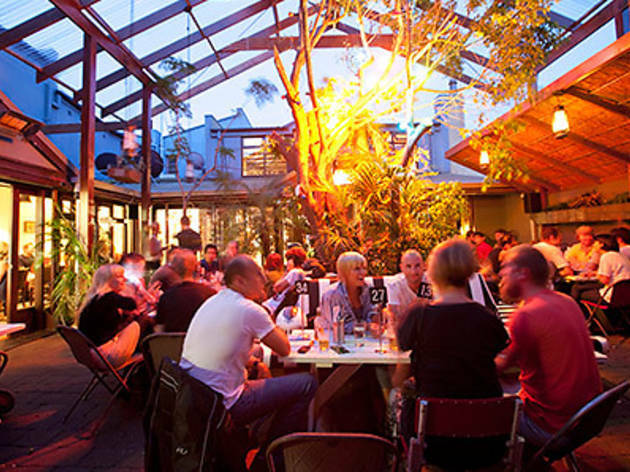 These are our favourite local pubs that don’t shun parents for bringing their toddlers or their tweens. 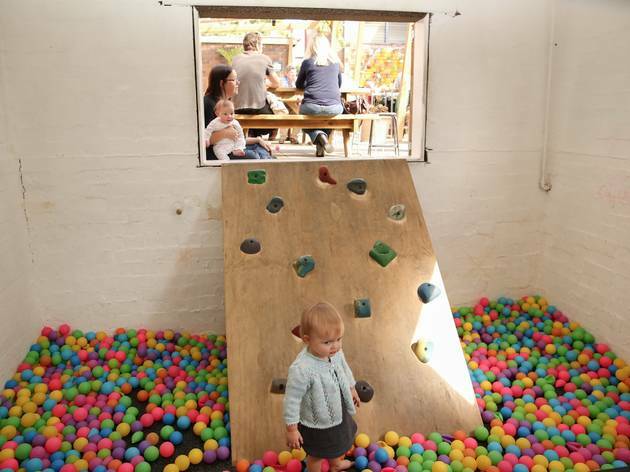 Start the fun earlier in the day at Sydney's kid-friendly cafes. 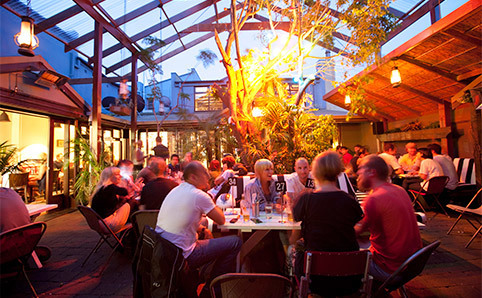 Plan ahead with our guide to the school holidays. Find indoor fun with these rainy day activities. 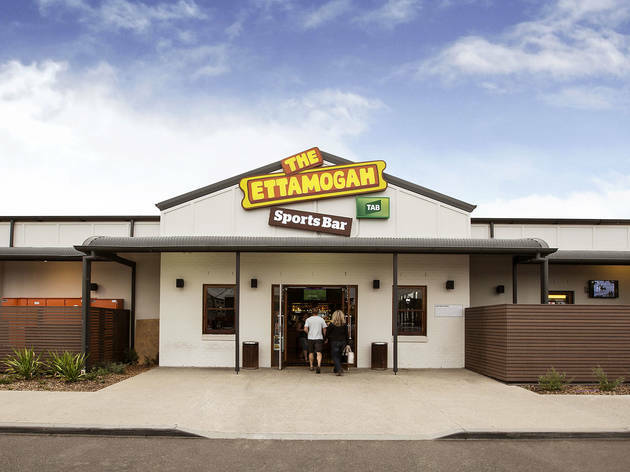 This Ettamogah Hotel complex is more theme park than pub. 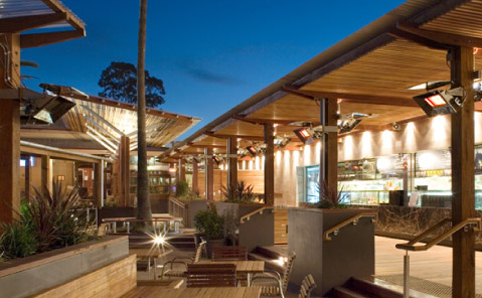 The cartoonish main building houses a function room, bar and bistro, while out back there’s a fenced-in play gym, reputed to be the largest in the Southern Hemisphere. A small jumping castle operates daily unless it’s raining. There are arcade games everywhere, and – the pièce de résistance – a full-scale rock climbing wall. Daily activities are held during school holidays ranging from magic shows and Lego parties to something called the ‘Slime and Bubbles Show’. 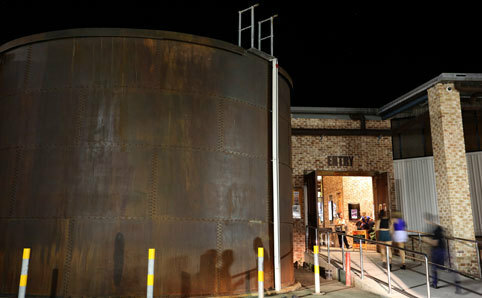 Kids eat free on Thursday nights, when they also enjoy free rock climbing. 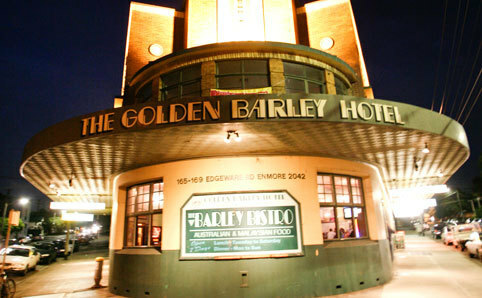 Ten years ago, this heritage pub was one of the most violent in NSW. The Mean Fiddler worked hard to clean up its act; then in 2014 its owners gave it a multimillion-dollar refresh. The bandages fell away to reveal the Fiddler, still huge but an undeniably elegant place to eat and drink; the best, we daresay, for miles around. 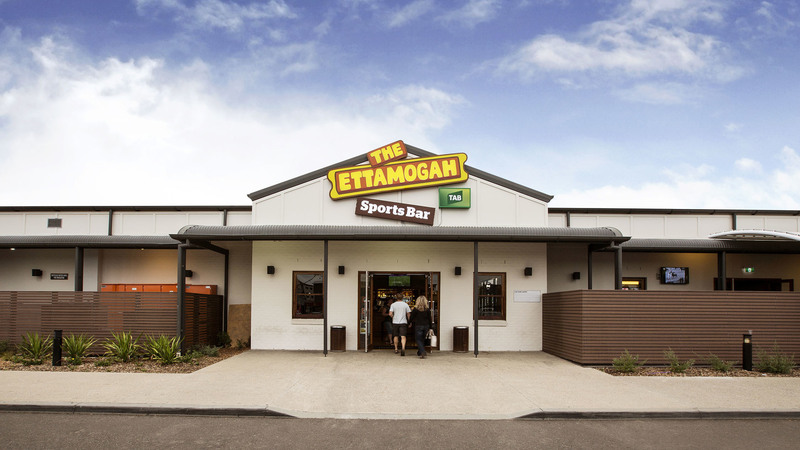 They have face painting on Sundays and colouring-in on the back of the kids’ menu, but they don’t mollycoddle the snappers here: the kids can play in the fenced-off mini-park while ma and da enjoy expensive but excellent pub staples like pizza, burgers, steaks and a wine list dominated by South Australian drops. 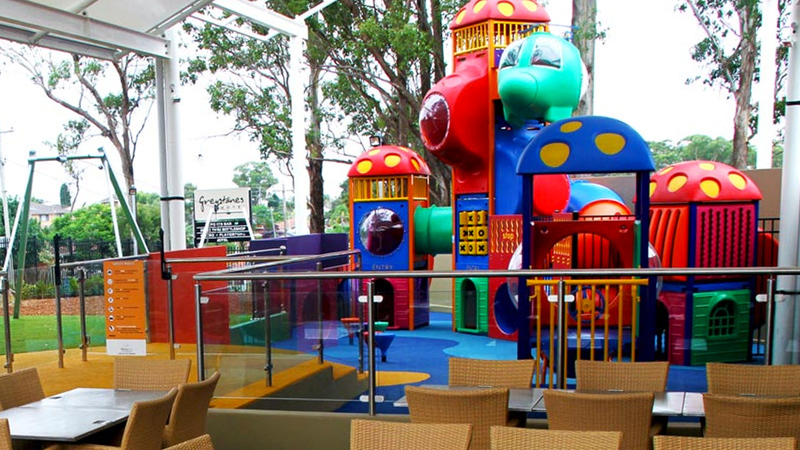 The Greystanes has two massive, fenced-off playgrounds where the little people can cavort safely while the bigger ones imbibe schooners of quotidian beer or bottles of vino that all stay prudently under $28. 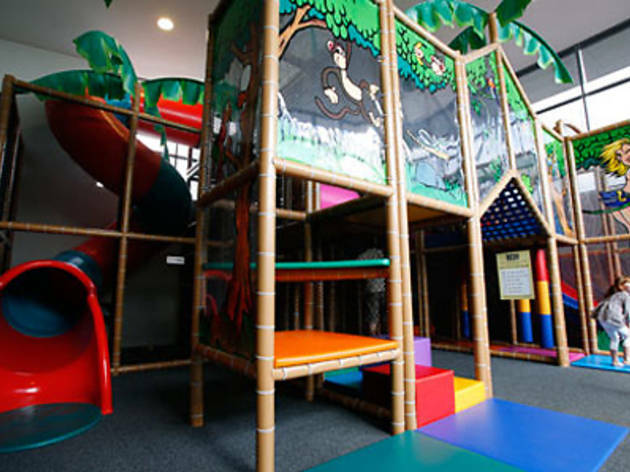 The little tackers can lose themselves inside the five-storey undercover play maze. 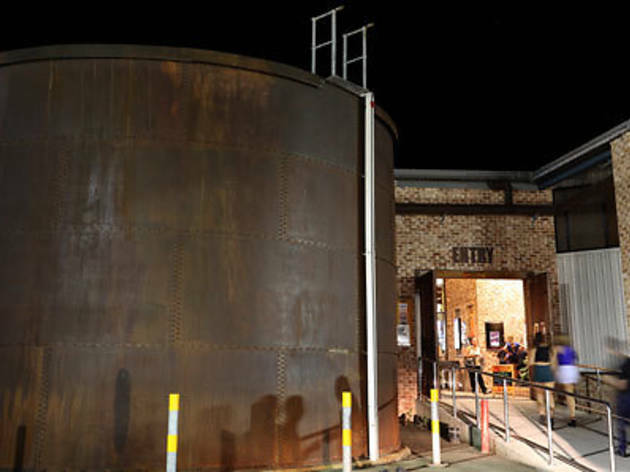 Next door, meanwhile, is a veritable paddock boasting gumtrees, a kind of spinning donut and an elaborate flying fox that propels the brave-hearted on a ten-metre flight. On weekends, they’ve got a jumping castle installed (weather permitting). There’s also a dedicated ice-cream counter and a slushie machine. At this rate they’ll have to start advertising themselves as ‘adult friendly’. Our winner of Time Out’s Family-Friendly Award for 2017 is a wonderland both for kids and their parents. Undercover games area the Kiosk has upside-down seaplanes on the ceiling, a giant Scrabble board, ping-pong tables and a basketball hoop. On Sundays that mini-bowling alley hosts kids’ entertainment. 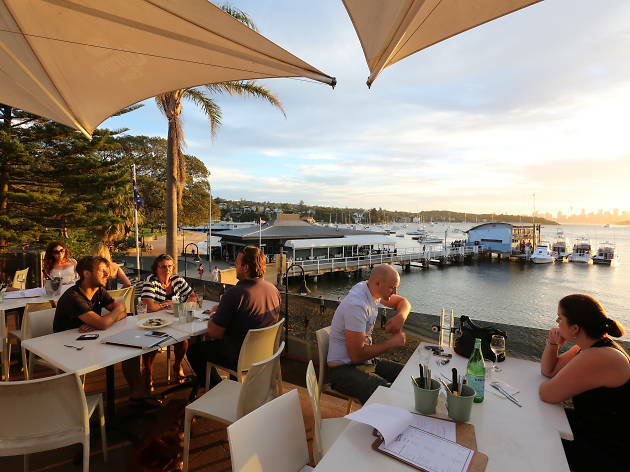 There are so many dining precincts here that you’re bound to find something for any fussy eater, be it pizza, burgers or seafood. 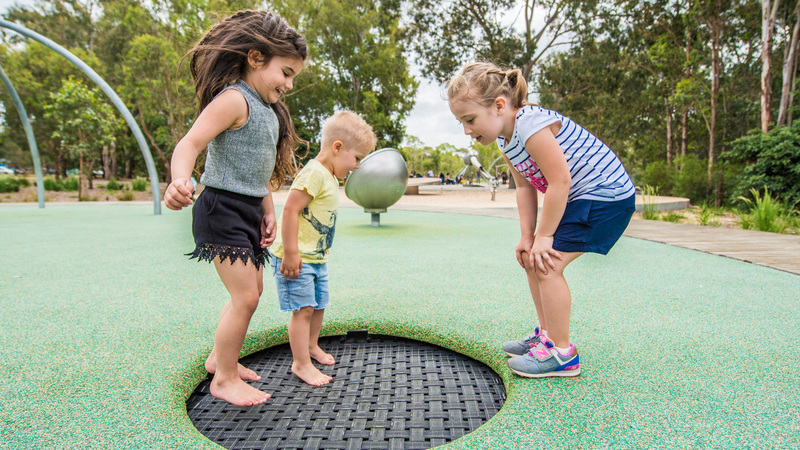 There are plenty of nooks and crannies for kids to explore, and the nearby Pittwater walking tracks are great for family adventures. 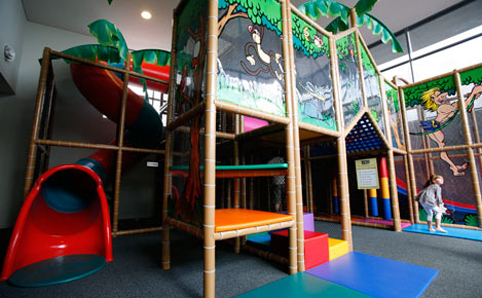 Their glassed-in kids’ playroom has a padded play maze in a pirates-slash-tropical island theme. It’s divided into two sections – one for two- to four-year-olds and one for their rowdier five- to ten-year-old playmates – and nobody can get out without passing through the one exit, so it’s easy to keep tabs on them. On a Sunday, cartoons play silently on big screens while, out on the terrace, there’s a bouncy castle that wobbles like a fat man laughing when tykes are hopping around inside it. 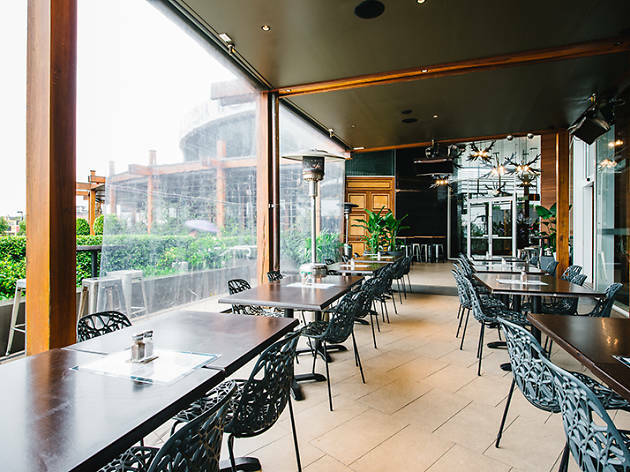 The HPH had a slick revamp some years ago and boasts a neutral modern design with lots of olive, charcoal and dark wood, and everything is spotlessly clean. 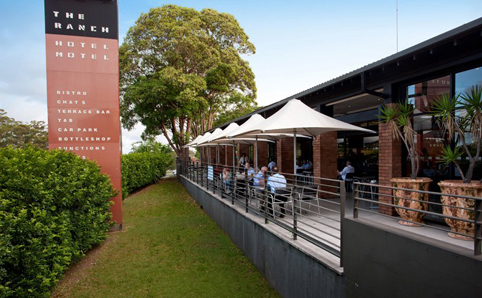 The Ranch Hotel is northwest Sydney’s prime corral for kids, and it does things on a scale that is truly Texan. On a Sunday it’s wall-to-wall family lunches, kids’ parties, face painting and superhero special guests. 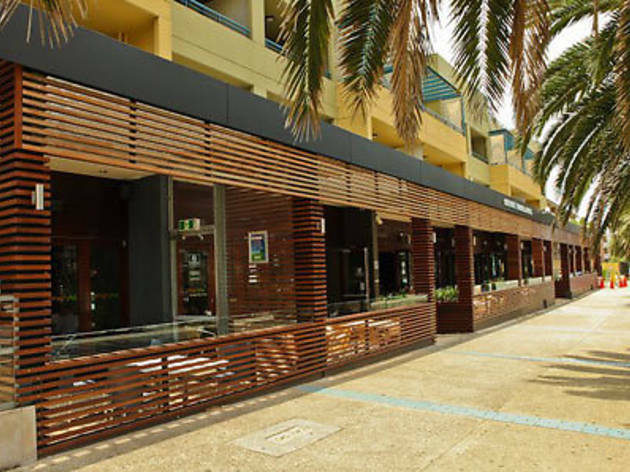 There’s a staffed Arts and Crafts corner, a jumping castle in the courtyard, a colouring-in competition that can win parents a $50 hotel voucher, and a separate wing that can be booked for big, big parties. If you’re over 65 you get access to a seniors’ menu that includes a $9.90 roast. Hats off the Ranch for keeping that ol’ circle of life turning. The kids are alright at the Rocksia, by which I mean baby goats Blondie and Mr Muggins, star attractions of the Farm Friends Petting Zoo set up in the car park on Sunday arvo. Together with the chicks, chooks, guinea pigs, ducks and bunnies, these hay-nibbling cuties are getting a good petting from wide-eyed human children. 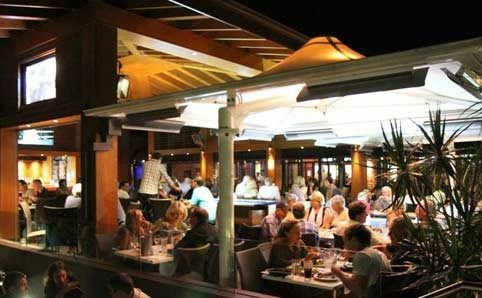 The food (including woodfired pizza) is good and there are big discounts for members, including 40 per cent off bistro meals on Fridays. You can pile in for a long Sunday lunch with the extended family and let the kids loose on the face painting plus balloon animals/real animals (on alternate weeks). Our tip: call ahead to ensure it’s petting zoo week, and get to the front of the line. 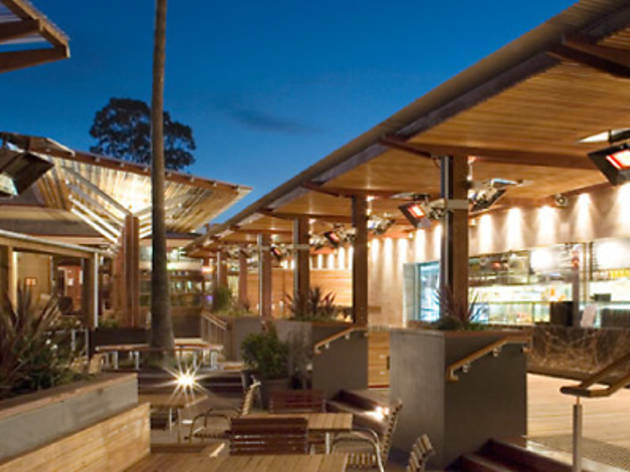 Watsons Bay Hotel is also an extremely family-friendly venue. 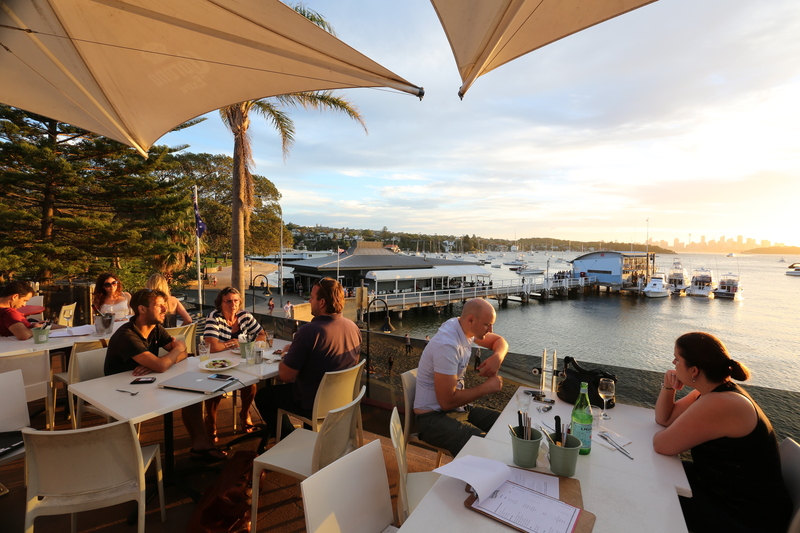 Location alone makes this an excellent spot to bring the next generation: the pub fronts onto the gentle shores of the harbour on one side and a rolling green park on the other. 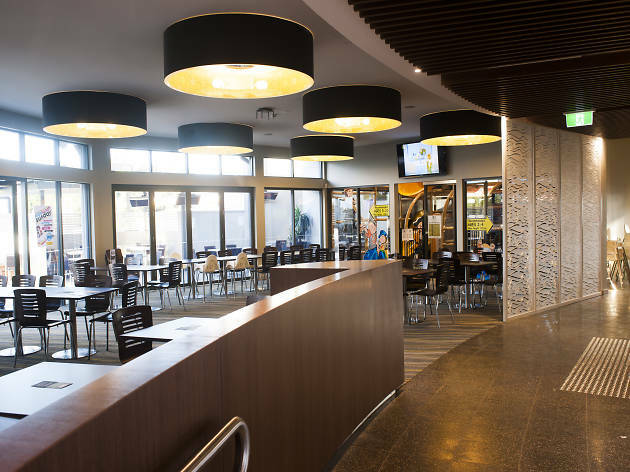 But it’s the dedicated kids’ activities, events and on-site café serving kid-friendly fare that really marks this venue out as somewhere your child-toting friends are not just tolerated, but welcomed. Don’t believe us? Last school holidays they hosted cookie-making classes, petting zoos and a pirate day, complete with face painting and treasure hunts – these guys are totally cool with the underage set. 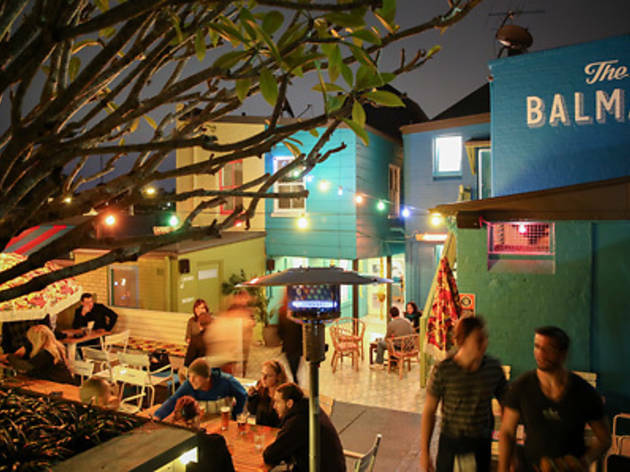 At one of the most family-friendly watering holes in the Inner West there’s a rumpus room, a ball pit, and $3.50 salted caramel milkshakes. 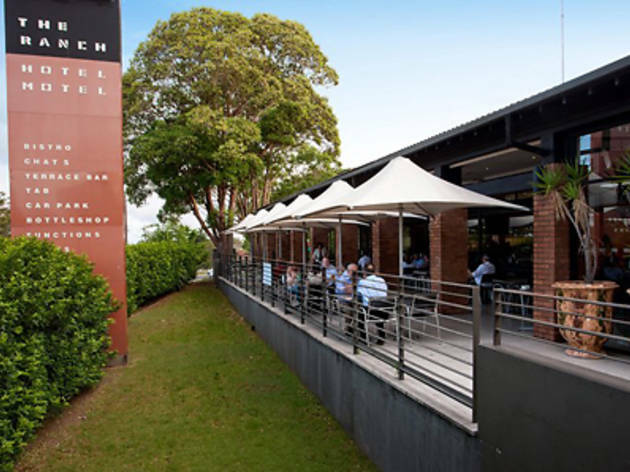 Woolwich Pier is a gorgeously designed pub opposite a grassy reserve with views to the Harbour Bridge. It has a lawn an AstroTurfed zone where there are organised kids activities each week. 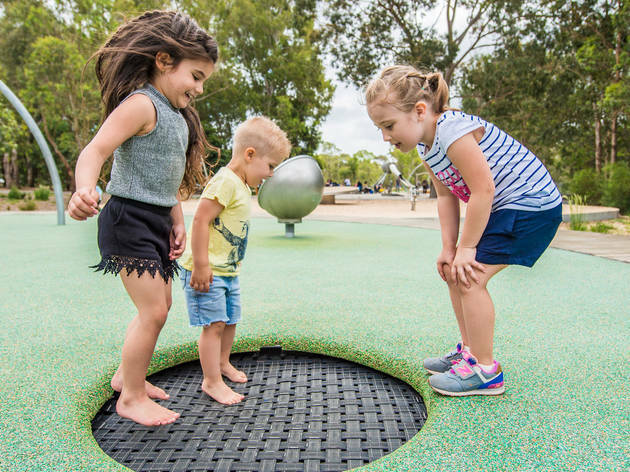 Every Saturday, from 1pm to 4pm, a kids’ coordinator keeps the little ones out from underfoot while grown-ups enjoy a cold one and a chinwag. Bring the whole clan to the Brewery for the multi-level climbing frame, soft play area for tots and $9 menu for tiny tastebuds. Grab a $5 ice cream sundae or traffic light jelly for the nippers. 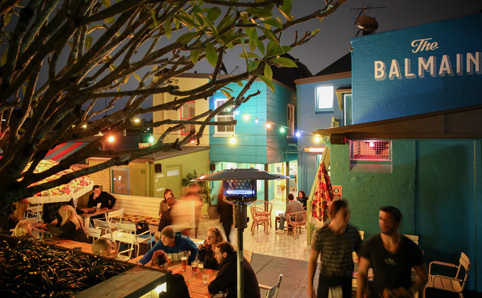 There’s a big beer garden and three pinball machines. 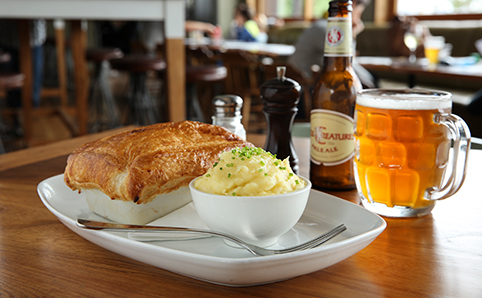 But the best part is the kids’ menu – from 5pm to 6pm daily, it’ll cost you just $5 to feed the little ones. 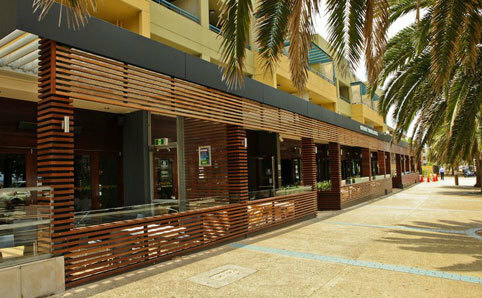 One of the Northern Beaches’ largest hotels is also one of the best for bubs. 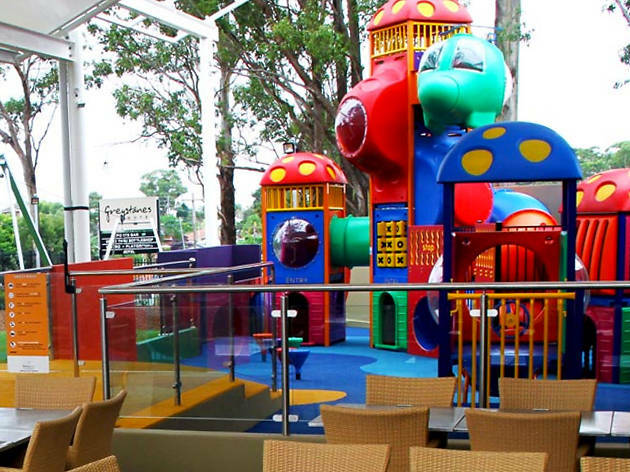 This place has a huge soft-play area and on Sundays kids eat brekky for free. 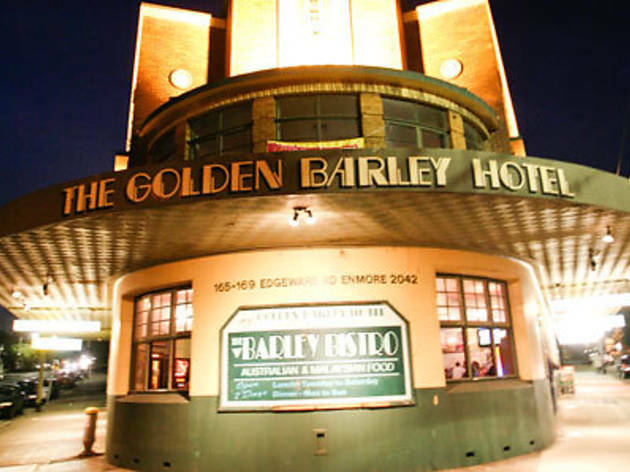 A stone’s throw from Annette Kellerman Aquatic Centre, the Golden Barley’s handy for a quick, no-fuss bite after swimming. 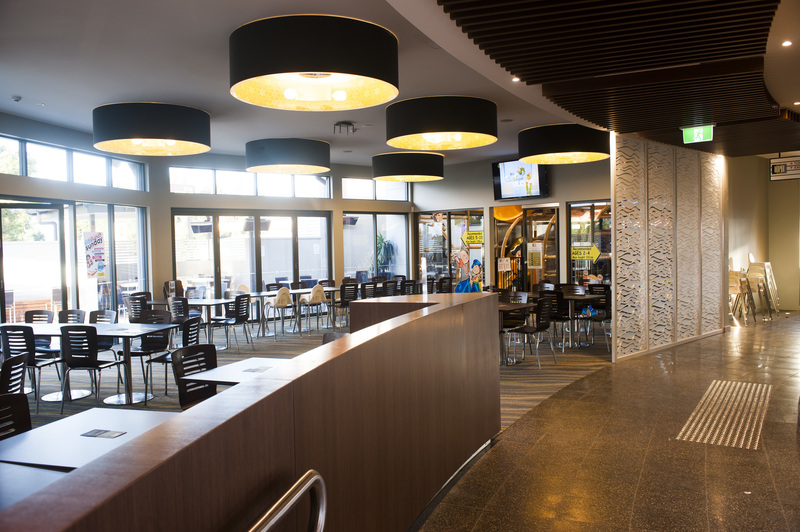 They’ve got $8 kids' meals and a Busy Nippers activity bag for $1.50. 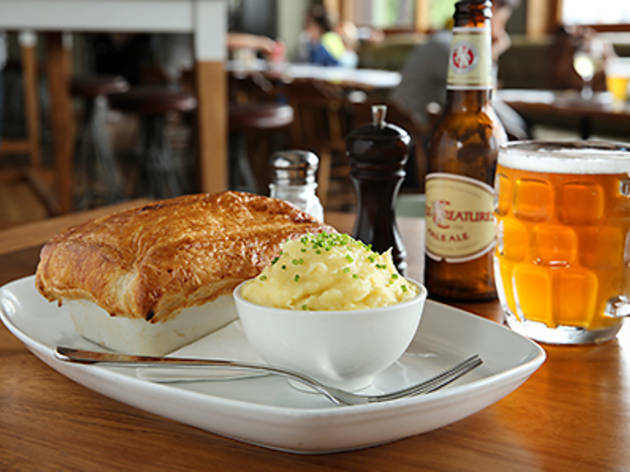 Kids can chomp down on dishes like battered cocktail franks or fish and chips (or corn) for $2 every day of the week. 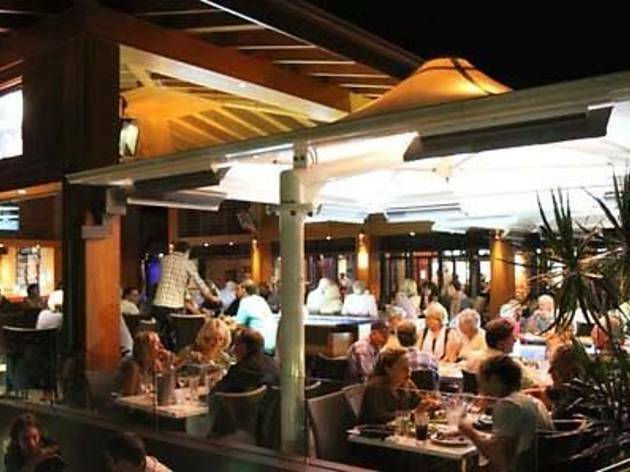 Stop by this Cronulla pub during the week and kids eat free with a dining adult. Yes, free. 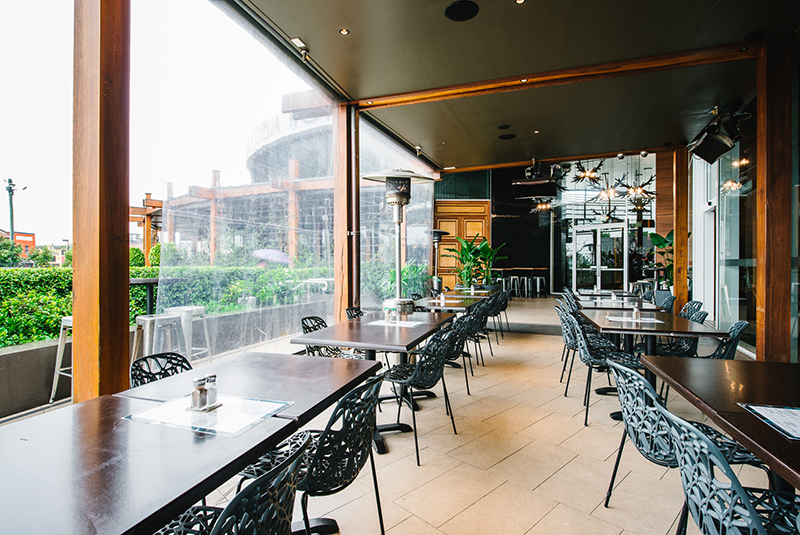 Kids’ dishes are $8.50 each, but the real drawcard is the glassed-in play area – let them loose and finish your meal in peace.